Following on from our post on a recent Mail Chimp update we received a few questions from some of the businesses we support looking more information about email marketing. 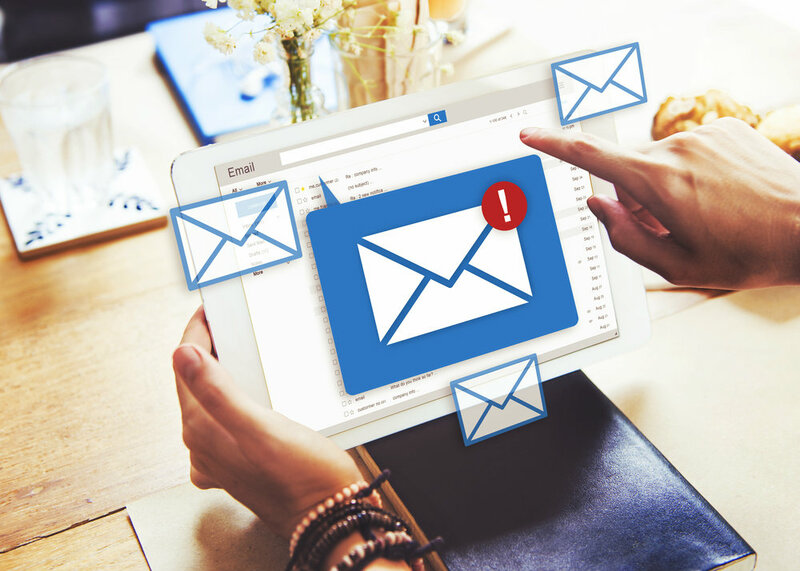 We thought we would pass on this information for everyone else by putting together today's post explaining why a small business should consider email marketing, and the benefits it can provide. When you read anything about online marketing you may notice the focus is often on social networking sites such as Facebook and Twitter and using social media marketing for promoting a business online. Contrary to what some business owners may think, email marketing is not a thing of the past and if you are not yet using it, or not using it properly you could be missing a key way to generate more leads. One of the downfalls with social media is the immediacy of it. Whilst this can be beneficial in some respects, it can also be a hindrance. According to research by management consultancy firm, McKinsey & Company, an estimated 91% of US consumers checked their mail inbox at least once every day. This means that unlike social media - where information is essentially infinite and continually updating (meaning engagement can be lower) - when an email is sent to a person’s inbox, the person is less likely to ignore it. Either the person will spam it, read it or send it to the trash folder depending on what he or she feels about it. Immaterial of whatever action the person may take, he or she has to open the email that was sent to the inbox and skim through it before deciding what to do with it. Engagement with email marketing can be far higher than that of social media because of this, something you should remember when investing time into tweeting vs. sending out an email campaign. Perhaps you’re wondering why a certain social media user decided to follow you on Facebook or Twitter. Of course, you can always look at your most popular posts on Facebook and Twitter or use Google Analytics to find out your most popular content but, this doesn’t give an insight into the interests of each follower. With email marketing you can find out about which links your subscriber clicks, the method the person used to opt into your email list and which emails the person opens depending on the email provider you use. By spending time and energy to segment your email list, you will be able to send content to your subscribers depending on their particular interest, e.g. recent subscribers or first time buyers, or even by gender, age or interests. Another benefit is that your social media posts may be seen by those who don't follow you and it can be difficult to work out how effective the campaign has been. With email marketing the user has actively signed up to join your mailing list therefore you may have a stronger customer base through this channel. Emails initiate purchases that are three times more than that of social media in addition to a 17 percent higher average order value compared to that of social media. Email marketing is 40 times more effective than the combination of both Twitter and Facebook for acquiring customers. Average investment return for each US$1 spent on electronic mail marketing is US$44.25. Online marketers ranked electronic mail marketing as the sole, most effective method for retention, awareness, conversion and acquisition. It is estimated that more than half of emails are now checked using mobile devices. Remember to Optimise for Mobile! There are still many marketers or business owners who don’t optimise their emails or their website landing page to adjust to smaller screen sizes – this is something that we at Kommand can help your business with. If you are looking for support in growing your small business or would like to move your website to a responsive design why not get in touch and find out how we can help?